Folks in the safety industry spend a great deal of time thinking about motivation and safety leadership. 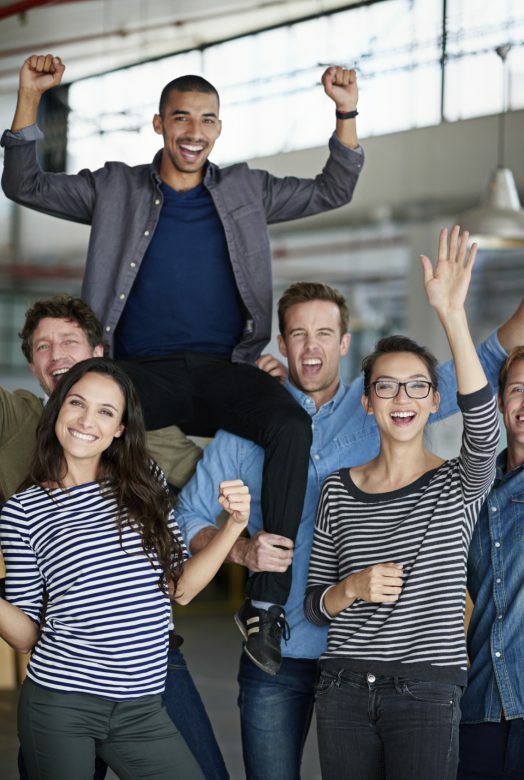 Flip through any safety magazine or spend five minutes scrolling through safety-focused Twitter accounts and you’re bound to come across a handful of discussions on how to engage and motivate employees. The end goal is almost always the same: reduced risk levels, fewer injuries, safer behavior. But what if instead of focusing on their own actions and corporate safety agendas, employee safety could be improved by helping them focus on someone else’s behavior? Psychologist Adam Grant conducted a study that examined the productivity and motivation of fundraisers. This study looked at a group of people whose job was to solicit donations for university scholarships. Grant discovered that after the people making the fundraising calls listened to a student who had personally benefited from the scholarship, the callers spent 142% more time on the phone and revenues went up by 171%, even though they said the student had no effect on them. A second study, also conducted by Grant, found that doctors and nurses used 45% more soap when washing their hands after seeing a sign that reminded them of how important proper hygiene was to patient health. So what does all this have to do with safety? A lot, actually. Outside of the do-it-because-you-have-to rules, safety traditionally takes a do-it-for-your-own-good approach to reducing workplace injuries. Whether it’s with constant exhortations for employees to be safer for their own sake or showing safety videos that display often-graphic examples of personal injury, the message is clear: employees will suffer personal hardships if they don’t take safety seriously. Unfortunately, most workers are pretty confident in their own ability. It’s the “it can’t happen to me” mentality at its worst, with people overestimating their personal safety skills and underestimating the likelihood that they could be injured on the job. And if workers think they’re safe enough, it will prove difficult to motivate them to be safer. But as Grant’s research shows, people can be motivated by the needs of others. In Inside Out: Rethinking Traditional Safety Management Paradigms, Larry Wilson and Gary Higbee discuss a particularly difficult safety training session they had with postal workers. The trainees were inattentive, stubborn and unwilling to pay attention to safety lessons that had a demonstrable benefit to their long-term health. But when Wilson and Higbee showed how the training could be used to make the postal workers’ children safer the tone in the room changed dramatically. People sat up straight. They listened and paid attention. And slowly, Wilson and Higbee realized that one of the most powerful motivators in safety is other people. Leveraging people’s natural concern for others to improve their own safety doesn’t need to be complicated. It could be as simple as demonstrating how an error in judgement could negatively affect others, or celebrating when one employee looked out for another. Positive reinforcement about one’s abilities has been found to improve performance, so encouraging someone to be a positive role model by demonstrating good safety behavior for others could also be an effective safety motivator. And, of course, suggesting employees take their safety training home to teach their kids will help reinforce their workplace safety habits. Keeping an eye out for other people’s safety has an additional benefit to the onlooker—it brings safety and risk back on their radar. When you see someone doing something risky it gets you thinking about your own safety. You might be driving along listening to the radio and thinking about your day when you see someone reading while driving. This will bring safety top of mind and you’ll likely be extra cautious knowing they could weave into your lane or fail to stop in time. So if you want to make your company—and the people who work there—safer then encourage employees to look out for their peers and think about their family.